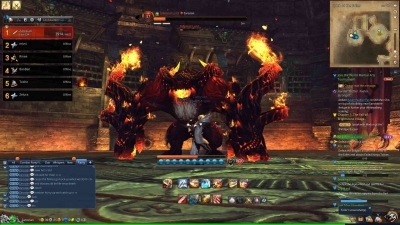 Blade & Soul (Hangul: 블레이드 앤 소울; RR: Beulleideu aen soul) is a Korean fantasy martial-arts massively multiplayer online role-playing game developed by NCsoft (Team Bloodlust). 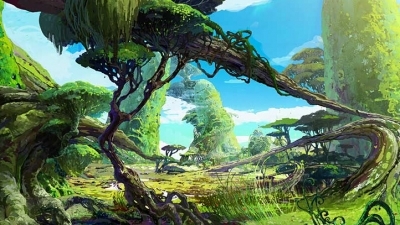 On September 13, 2012, NCsoft announced that Blade & Soul would release in Western territories, will be released in Winter 2015 A Japanese animated television adaptation began airing on April 3, 2014 on TBS and other stations. Weeks before NCmedia day, NCsoft announced a new Unreal Engine 3 based MMORPG only known for its codename Project. For the next two weeks, a teaser website was updated revealing more information about the project. During E3 2007, Sony revealed that they had entered into an exclusive deal with NCsoft to produce new titles exclusively for the PlayStation 3. This contract included titles from both existing intellectual properties owned by NCsoft. On February 2010 it was announced that Blade & Soul alongside Guild Wars 2 is being developed for release on the PlayStation 3 and Xbox 360. However, since then, there have been no updates on the development of the titles for the consoles. The first closed beta test was scheduled for 27 April 2011 while the open beta test and commercial release were to be determined within the year. 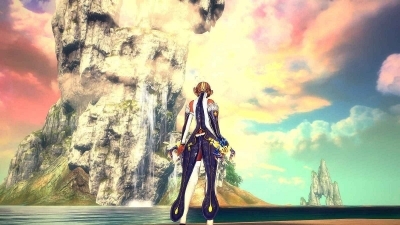 In July 2011, Tencent gained publishing rights of Blade & Soul in China, and made its first appearance at ChinaJoy 2011.Blade & Soul launched in China on November 23, 2013 with an open beta which seamlessly moved into official launch. The second closed beta test was scheduled from August 29 to September 10, 2011. During this event the Assassin class was playable for the first time. After an open beta test on June 21, 2012 with a record number of 150,000 players, NCsoft confirmed that the official Korean Blade & Soul launch would commence on June 30, 2012. 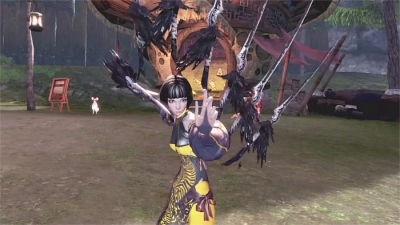 In 2013, HTK has stated that an English version of the game would indeed be released sometime in 2014 after China commercial launch, the new Blade & Soul anime in Japan alongside Taiwan and Russia. 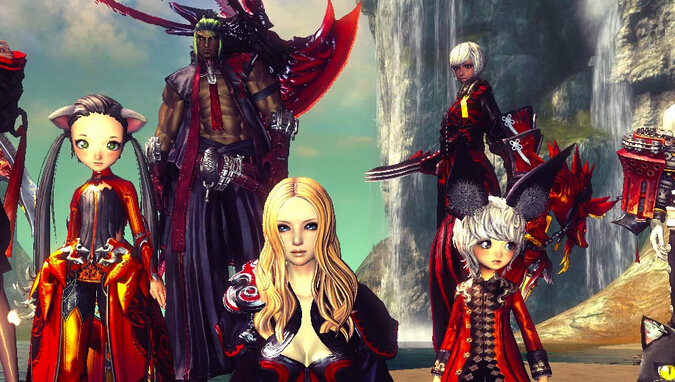 On May 20th, 2015 Blade & Soul has been announced for NA and EU region and is set to release this winter. Blade & Soul features a combination of martial arts inspired combat and Qing Gong in an open-world environment. Players create playable characters that explore around the world by completing quest assigned by various NPCs. The game uses a real-time battle system in the third person camera view and requires players to "combo" a series of attacks, much like that of fighting games. According to NCsoft, the game also features an innovative “Downed” mechanic, allowing players to recover from the brink of death. Players begin with “player-versus environment” (PvE) but may participate in “player-versus-player” (PvP) combat later in the game. 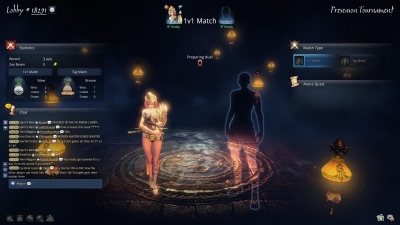 According to the developers, Blade & Soul will provide a highly customizable system and it has been stated that NPCs in the game were made with the character customization system.Customizations a player has access to include hair styles, facial structures, eye color, height, and body sliders. Characters may be one of four playable races based on the Four benevolent animals: The Gon, the Jin, the Kun(Yun), or the Lyn.